The Georgia Pecan Growers association focuses on the research, marketing and education of Georgia grown pecans to both growers and consumers, domestically and internationally. Our members take pride in our pecans and our close-knit community of growers. By joining our association as a grower, supporter, or business, you’re helping promote Georgia Pecans and Georgia pecan growers. GPGA strives to serve the industry and meet the needs of our members. Whether you are a grower, sheller, supplier or consumer, we invite you to support the pecan industry in Georgia by joining the GPGA. GPGA provides multiple opportunities for members to improve upon production practices. Throughout the year, GPGA offers several Educational opportunities such as our Annual Conference, Annual Fall Field Day, county pecan production meetings, subscription to our information-packed The Pecan Grower magazine, e-newsletters, social media and a knowledgeable and friendly office staff. GPGA serves as the Voice of the Industry through our Governmental Relations in Washington, DC and by providing Communications to all members through our website, online newsletter, The Pecan Grower magazine and social media. GPGA strongly supports Research and Development in the pecan industry. We work closely with pecan research teams throughout the state to provide the most accurate and up-to-date information with our members about new pecan production practices. Marketing Georgia Pecans to consumers is another benefit received through membership. 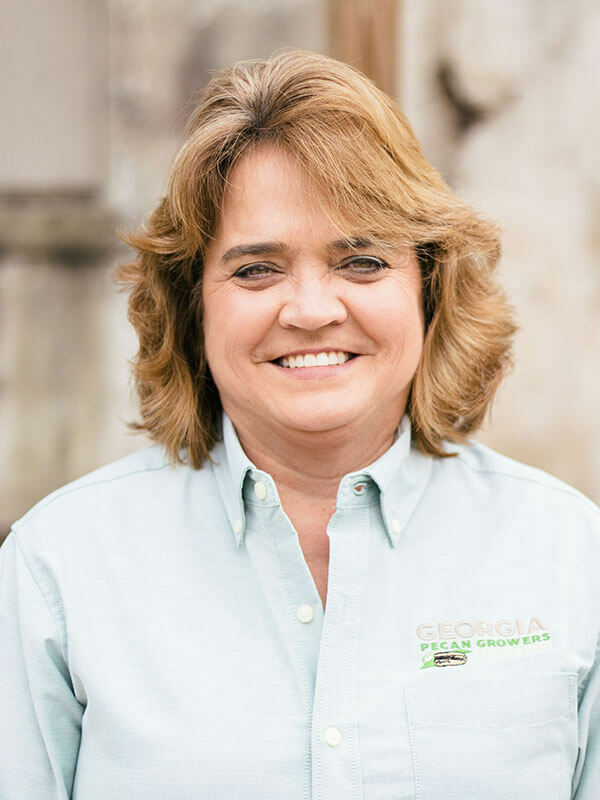 Whether it’s a retail outlet, commercial operation or pecan tree nursery, the GPGA works to connect your business with consumers to increase the demand and awareness for Georgia pecans. Commercial Members: If you are a supporting business of Georgia pecan growers, there is something for you as well! By becoming a commercial member you are not only supporting our association, but you will also receive a free listing on our website for your business as a resource for our pecan growers! Our Mission: The Mission of the Georgia Pecan Growers Association is to encourage research, education, health benefits and promotion of all phases of production and marketing in the interest of our Pecan Growers in the increasing global market. Recognizing the contribution to the pecan industry made by other pecan organizations the Georgia Pecan Growers shall aid these organizations in every way possible. Samantha was born and raised on a farm outside of Barnesville, Minnesota (20 miles Southeast of Fargo, North Dakota) raising beef cattle (purebred Shorthorns) and row crops (sugar beets, corn, beans & wheat). Samantha graduated from the University of Minnesota in 2012 with a Bachelor of Science in Applied Economics (Ag. Business) with emphasis in Animal Science and Leadership. 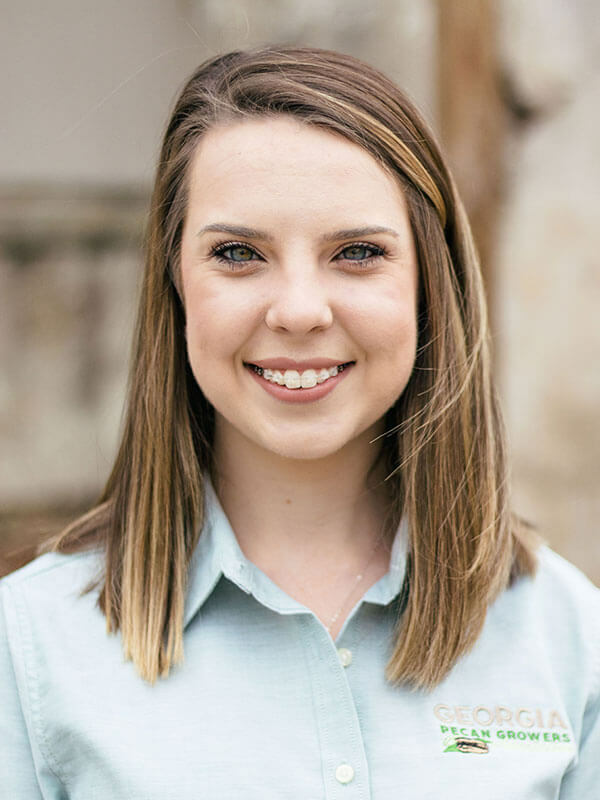 Samantha began her career working for Case IH Agriculture in Racine, Wisconsin immediately after graduation and moved south in 2015, taking the roll as the Southeastern Crop Production Sales Specialist representing the company’s line-up of planters, seeding, and tillage equipment. 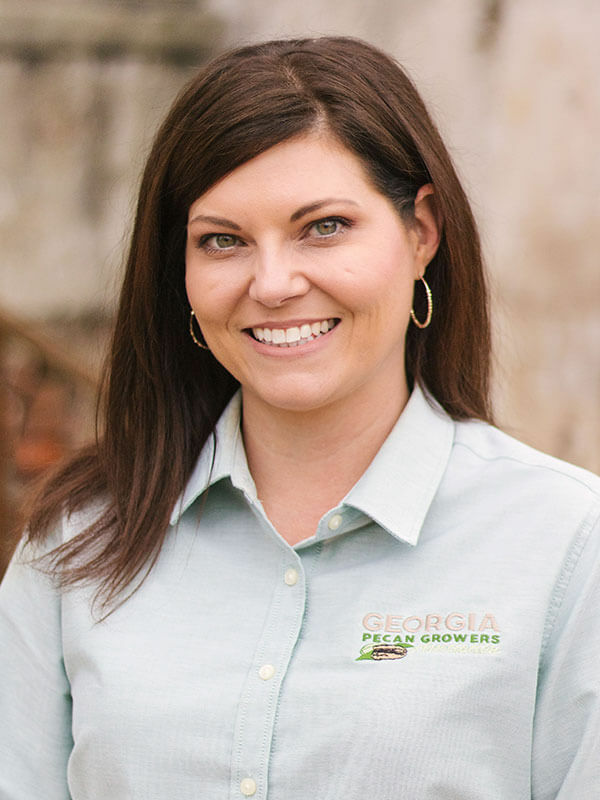 Samantha joined the GPGA staff as Executive Director in February of 2017 following her passion of supporting farmers and staying in agriculture. Outside of GPGA Samantha is happily married to Robert McLeod with one son, Arlan, and they raise registered Black Angus Cattle together on their farm. They also have nearly 20 pecan trees and one day hope to expand. Originally from Omega, Georgia, Sheila graduated from Tift County High School in 1985 and then went on to graduate from Abraham Baldwin Agricultural College, located in Tifton, Georgia in 1987. She went back to school to obtain a degree in Accounting from Moultrie Technical College in 2012. Prior to coming onboard with GPGA, Sheila homeschooled her 4 children from 1991 until 2013 from kindergarten through their graduation. Outside of GPGA Sheila is happily married to Scot Harnage. The two share four children and two step grandchildren. Sheila is actively involved in her church and loves to spend time with family. A native of Tifton, Amy holds a Bachelor of Arts in Journalism degree and Master of Public Administration degree from the University of Georgia. 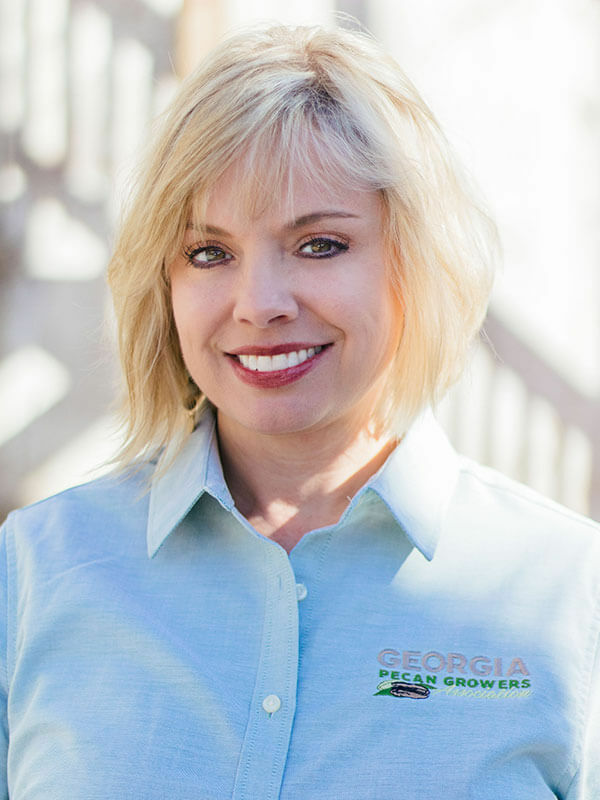 Prior to joining the GPGA team, Amy worked at Abraham Baldwin Agricultural College for 5 years and, prior to that, lived and worked in Atlanta for 8 years in both state government and the private sector. Outside of GPGA Amy and her husband, Courtney, have three children and are active in their schools, church and community. Originally from Berrien County, GA, Candace spent her Summers working on her Papa’s tobacco farm. She graduated from Tift County High School in 1998. Candace continued to remain involved with the family farm until her Papa retired from farming in 2005. Outside of GPGA Candace is happily married to Derron Spikes. Together they have four beautiful children, Gavin, Madison, Callie, and Olivia. Derron and Candace have been together for 20 years. During that twenty years they have lived in Augusta, GA, Kansas City, MO, and Chula, GA. She is very active in her church and in her children’s schools. Candace loves to travel with her family, cook, watch college football and loves to do anything adventurous. To date, her favorite experience has been skydiving with her son for his 18th birthday. 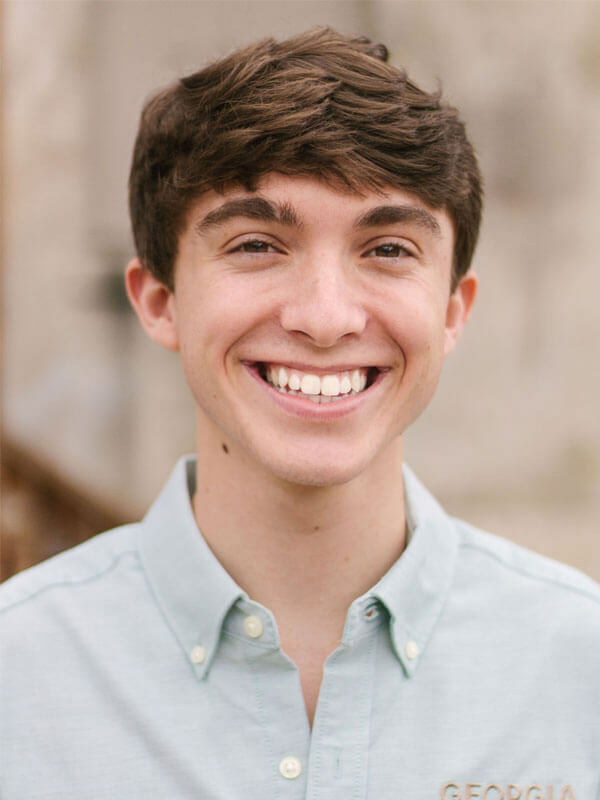 Andrew, Tifton, GA native, graduated from Tift County High School in spring 2018. He is currently enrolled at Abraham Baldwin Agricultural College, located in Tifton, GA. He plans to transfer to the University of Georgia after graduating from Abraham Baldwin Agricultural College with his 2-year degree. Outside of GPGA Andrew is actively involved with Student Alumni Council at Abraham Baldwin Agricultural College, where he helps to coordinate between alumnus and the current staff/students. Outside of school, Andrew owns a photography business, Andrew E. McBrayer Photography, which he opened in late 2017, where he focuses on senior and family portraits. Nicole, a Tifton native, graduated from Tift County Highschool in 2017. She attended Abraham Baldwin Agriculture College for two years before transferring to the University of Georgia. Nicole is studying for her Masters in Agriculture Education and Leadership at the University of Georgia, Tifton Campus. 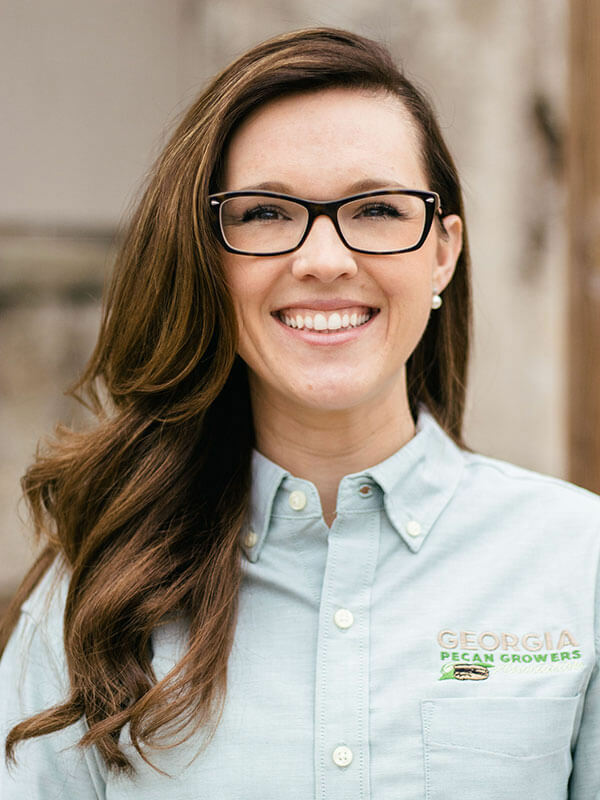 Nicole joined the GPGA staff in January 2018 to gain experience in agriculture and to share her love for pecans and their importance to Georgia Agriculture. Outside of GPGA Nicole serves as an ambassador for the University of Georgia College of Agriculture and Environmental Sciences. She enjoys travelling and plans to study abroad in spring of 2019 in Uruguay to study food and grain production for beef cattle. In May of 2019, Nicole plans to study Viticulture and Enology in Italy. She credits her Dad, Del Tayor, in giving her a passion for agriculture as well as her Mom and sister for helping support all her endeavors.